Home > Tips > My Cat Peed on My Bed: What Does It Mean? Have you ever walked into your room and noticed a foul smell? Or perhaps have you ever jumped on your bed only to feel it soaking wet? You take a quick sniff and instantly know which one of your furry family members to blame. It’s cat pee. Why did my cat pee on my bed and what does it mean, you ask? Well, there are various reasons for why cats urinate on their human’s bed. Cats will urinate on their human’s bed for a variety of reasons. But first things first, if you do find that your cat is peeing outside of the litter box, it’s very important to take a trip to the veterinarian. They can do a urinalysis and a physical examination in order to see if your cat has a possible bladder infection or other underlying medical issues. It’s often due to a health or behavioral problem which make cats pee on their owner’s bed. If your cat passes all the tests by your local veterinarian, then there are other in-home factors that you can identify as potential causes for your cat’s urination outside of the litter box. Let’s look at this in closer detail below. 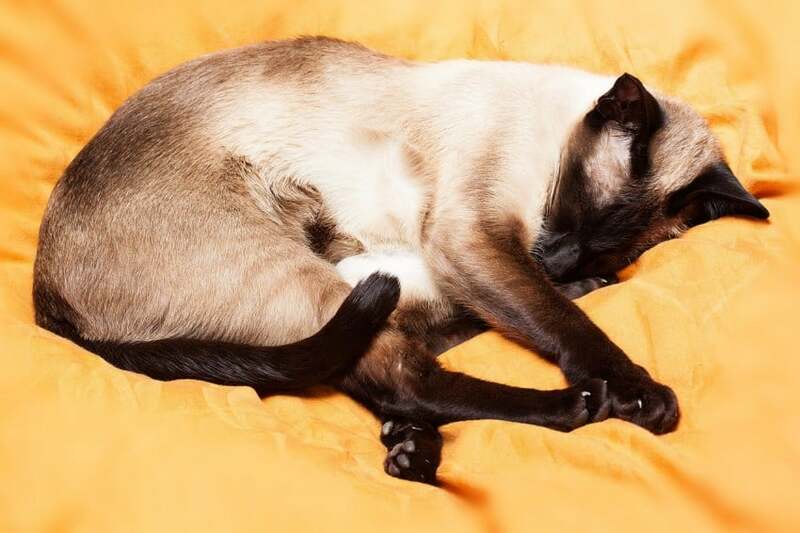 Here are several factors that can cause cats to pee on your bed. Pay close attention to your cat’s behavior and try to identify the source of the problem. Is the litter box cleaned daily? It is very important that you clean the cat’s litter box at least once a day or every two days. If the litter box is too full (or stinky), then it’s not a surprise that your cat is finding other places to go potty. Tip: To help fight lingering odors, we replace completely the litter in Yoda’s box about once every week to two weeks. We then soak the box in soapy water (we use lemon-scented dish detergent) and we scrub the tub with a sponge. This helps to remove the remaining urine/poo odors that can linger on the plastic, even if the litter is clean. Manufacturers will often provide two types of their brand litter: scented and unscented. While humans may prefer scented litter to cover up cat doo doo odors, the scent of the litter may be too overwhelming for your cat. We use a completely natural litter for Yoda (wood pellets). He loves it, we love it, the environment loves it! 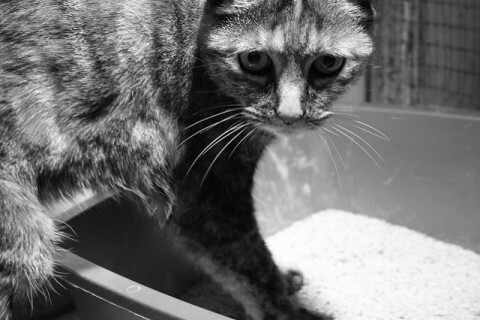 Is the size and location of the litter box appealing to your cat? If your cat’s litter box is too small then s/he may feel the need to eliminate elsewhere. Somewhere like on a nice big bed. Also, if the location of the litter box is not appealing to your cat, this could also a major cause for why your cat is peeing on your bed. Offer your cat a more quiet space, not too far away from where s/he spends the majority of their time, and where there is not loads of foot traffic or activity going on as this may make them anxious or uncomfortable, resulting in your cat peeing in your bedroom while your gone. Tip: From years of testing out litter boxes, my cats always have preferred litter boxes with no covers. Having a cover over the litter box actually will keep the odors stored inside, so when your cat enters it’s like concentrated urine and poop smells that suffocate him immediately. Let it air out naturally. If you clean regularly, the urine and poop odors will not infiltrate your home anyway. Technically, the litter box can also fall under the anxiety-related issue. But there are more prominent anxiety-related factors that could cause your cat to pee on your bed. Do any of the following circumstances apply to your home? If your cat was the lone-wolf of the house for several years and then all of a sudden you introduced a new adorable companion, it’s quite possible that your cat is going through anxiety. A new pet can cause your cat to eliminate outside of the designated potty area. If you’ve recently just moved in with someone, or if your companion has just started frequently sleeping over at nights, it is possible that your cat is peeing on your bed because there is social tension. S/he may not “approve” just yet of your new partner which is prompting them to show their discontent by peeing on your bed. It can even be specific – peeing on the side of the bed where that person sleeps (1). Sometimes your cat will urinate on your bed in order to display his discontent and unhappiness due to your prolonged absence. Paradoxically, in this case, it might just be a good idea to adopt another companion to keep your cat company while you are gone. However, if you cannot take care of more pets, then think about asking a neighbor or friend to visit your cat once or twice throughout the day to prevent them from being too isolated and alone. The solutions will obviously vary depending on what caused the unusual behavior in the first place, so you first have to assess the information above before you can solve it. Keep it clean daily. If you normally don’t clean it out daily then try this for 1 week to see if your cat’s behavior changes. Is the litter box in a high foot traffic area? Place the litter box somewhere out of the way where your cat will have privacy, but can still easily access it. If you’ve used the same litter box for your cat since s/he was a kitten, maybe the cat has just outgrown it, so to speak. Plastic litter boxes aren’t very expensive, so try a bigger size litter box. Also, if there is a lid, remove it and see what happens. Do you have more than two cats sharing the same litter box? We recommend getting at least two litter boxes for the house for multiple cats. Lastly, make sure the litter itself is not where the problem lies. If you think the litter is the problem, try using alternatives to clumping clay litter such as natural or biodegradable cat litter. It’s not easy to identify the exact source which is causing your cat stress or anxiety. That is why it is important to see a veterinarian before the problem worsens. It is not worth trying to be a detective if your cat really is under stress. Other than speaking with a vet or a cat behaviorist, you can try to close your bedroom door/keep your cat out of the bedroom while your gone. Another option is to cover your comforter with a plastic tarp which will be less tempting for your cat to pee on, and if the accident continues to occur, at least your comforter will not be soaked with cat urine afterward. 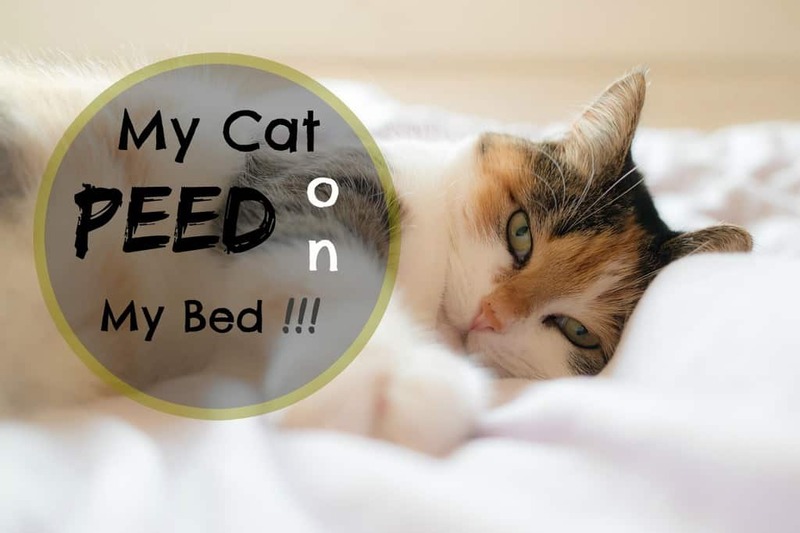 Hopefully, you will be able to target the source of the problem soon, however, until then, here is a great way to remove cat urine odor/stains out of your comforter, sheets, or mattress. If the accident is recent, soak up as much of the pee as possible with clean washcloths or paper towels. Try and soak up as much of it as you can, applying pressure either by standing on the area or by pressing firmly with your hand. Repeat until there is hardly any urine being absorbed by the paper towels or cloth or sponge. If the cat pee has already been sitting a while, it’s no use to try and blot up the excess urine as it’s most likely already soaked into the comforter and/or mattress. In this case, here’s what you should do. Spray about 50 ml of a 50% water and 50% vinegar mixture. Let sit for 1 minute before soaking up with more paper towels and/or new clean cloths or sponges (you can also use a dry/wet vacuum). Applying vinegar will help tremendously with the odor and will prevent the urine from staining. Soak up excess water/vinegar/urine mixture by pouring baking soda onto the affected area. Remove the baking soda once it has become wet. Repeat until baking soda is dry, and then proceed to step 4. Dribble a teaspoon of hydrogen peroxide (stain removing products containing some sort of ‘Oxy’ in it will also work just as good), and a teaspoon of dish detergent together over the baking soda/urine area. Rub it into the comforter or mattress. Let the rubbed-in solution work for about 15 minutes or so. Blot again with paper towels/etc., but keep the baking soda sitting on the area. Now, let the mattress/comforter air dry completely. To aid the drying process you can use the sun, a hairdryer, etc. The sitting baking soda will soak up any remaining cat pee. Once it’s completely dry, you can now vacuum up the dry baking soda. We are happy you are here and we hope you were able to find the answers you were looking for. We would also love to hear from you and hear your thoughts on this article or on our cat blog. Why is my cat drinking so much water? Previous Post Can Cats Cry When They Are Sad ? Hi from Colorado! I have a new issue with my two year old female. In the last month she has started to go on my bed. She does it right in front of me, I don’t scold her harshly, I just shoo her off the bed and take her to her box, she then finishes her business and walks around with a shamed look. (I could be projecting, but that’s what I see). She is not yet “fixed” and seems to be in heat constantly. I also have her sister, who does not have either problem of urinating on the bed or being in constant heat. There has only been one change in the house, my older cat died. She was like a mom to the litter when their mom left the litter at about four weeks. I kept two, and adopted out two, their mom was a stray that had her litter in my garage last spring. I need help to get the urinating problem to stop, they go to the vet in a couple days to be spayed, I hope the behavior stops after that, they do have two litter boxes. Thank you for your awesome site and thank you for your help! Hi Frank, thanks for reaching ou! Hello from Mexico 🙂 First off, I think you should see a difference after she is spayed but it’s hard to tell. Sometimes a change in the household (as you mention, the death of her adopted momma cat), can affect cats’ behavior. Interesting, that maybe it affected her more than her sister – who is also not spayed? (yet). It can really be tricky to find the cause – for example, it could be due to a recent dietary change. Great that they have two litter boxes – if the problem doesn’t come from litter box issues; that helps solve the mystery! When you go to get her spayed, make sure to ask your vet about all the possible reasons she would be acting out like this! Any small detail can help. Please do let us know if you find the behavior changes after being spayed – it’d be very interesting to know. Thanks so much for commenting and reaching out! My name is joe and my girlfriends name is Brittany. We have three cats and a dog. The last pet we adopted was a cat and her name is pumpkin. Everyone gets a long very well with out any issue. We have two litter boxes and all the cats use them just fine with no issues. However, the issue is with pumpkin. Pumpkin was using the litter just fine and for some odd reason in the past couple months she’s been urinating in the middle of the night specifically on top of my girlfriend over the covers. She is doing this almost every day and we eventually removed her from our room at night along with the other cats and closed our door. We let her back in and all was good for about a week and BOOM!!!! back at it again!!!!! Not only is she’s peeing on my girlfriend but now she’s peeing on the couch and on me now!!!!! Please help us what can or should we do?!?!?!?! Hey Joe & Brittany, nice to e-meet you! Sounds like Pumpkin might be feeling territorial over you Joe! Cats are pretty blunt animals, they don’t beat around the bush so to speak! You say Pumpkin only targeted Brittany at first, but now she is displaying this behavior even on you. 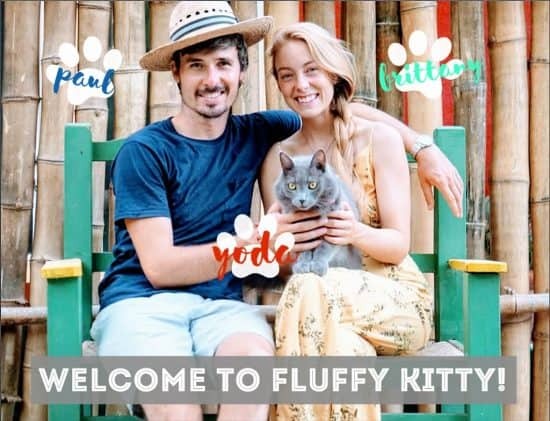 Did Pumpkin take to you more than Brittany, and you adopted Pumpkin together as a couple? Usually, cats who pee on their owner’s partner are jealous. Now Pumpkin might be continuing this bad behavior because she is blowing off her steam now on you! Not only that but now the odor of her urine is on your bed and couch, she’s starting to think “hey, I peed here before I can do it again”. The other possibility is that Pumpkin is not feeling happy with the other pets. Some newly adopted cats find it more difficult to integrate into a home with pets than others. The other possibility is with the litter box, but you said she was doing fine with that. Maybe get her a separate litter box from the other 2 cats and introduce her to it first. I’d keep her out of the bedroom for a while (several weeks) after monitoring that she’s using the litter box healthily and regularly. You can also try separating her into a different room than the other animals and you at night, with her own litter and food, water, etc. Then from that room, move her to a larger room with maybe one other cat, then 2, then all, and then once she’s no longer urinating in other places, you can finally open the bedroom back again…. and make sure to get your sheets suppperrrr clean because they can smell the scent of urine even after several washes! Hopefully this helps.. Best of luck and thanks for reaching out.